The D series machines are entry level EDM Hole Drills designed for drilling hard materials. Set using only 6 cutting parameters, makes achieving a good cut simple. The standard machine is suitable for diameters of 0.2mm – 3.0mm this range can be extended upto 6.0mm using a different head. 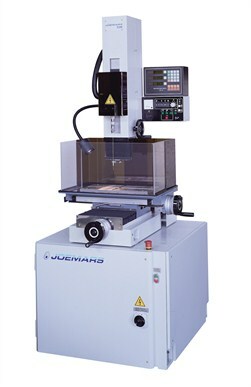 All of the machines are fitted with sparking circuits specifically to designed to enhance machining speed.